Play dough, or modeling clay, is a creative tool for keeping kids busy on a rainy day. There’s no end to the different things children can fashion from the pliable substance. Once they’ve made one item, they can mash the play dough back into a ball of clay and start over on a different shape. 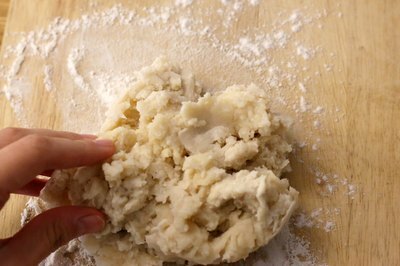 Make a batch of homemade play dough to save money and help kids pass the time. Mix all the ingredients together in the saucepan with the spoon. Stir them until they are smooth and no lumps from the flour remain. Place the pan on the stove. Cook the mixture over medium heat, stirring constantly until it is thick and smooth. 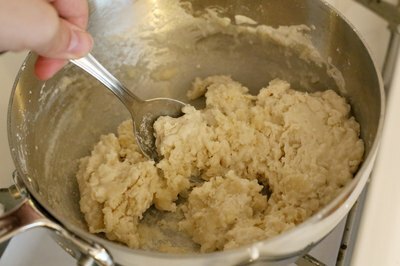 Remove the pan from the heat and allow the dough to cool until it is cool enough to handle. 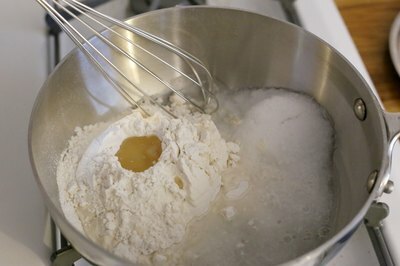 Turn the dough out onto a bread board or countertop dusted with flour and knead the flour into the dough, adding more flour until it is the consistency you desire. 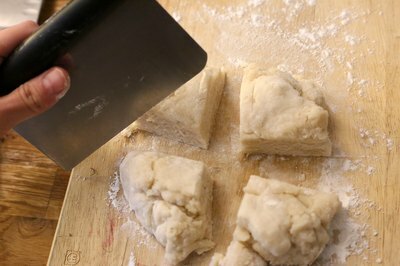 Divide the dough into four equal sections. Place a few drops of food coloring onto one of the balls of dough and knead it in until the entire ball is evenly colored. Add more drops of coloring if you want a deeper color. 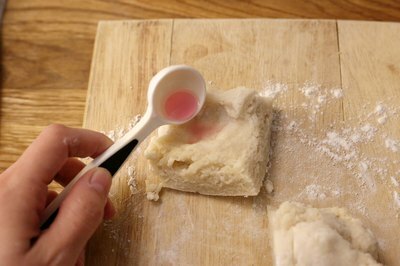 Repeat this process with the rest of the dough balls, coloring each one with a different food color. The dough can be colored without staining your hands, but you have to fold the dough over the coloring and continue to work it carefully until it is distributed throughout the ball and the dough has absorbed it. 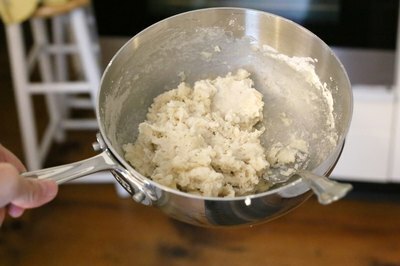 Store the dough in an airtight container that will allow the dough to retain moisture, preferably in the refrigerator. Although it isn’t toxic, this is not a recipe for edible dough. Remind children not to eat it.